Can allergies play a role in hearing loss? You are suddenly concerned that you have ringing in the ears or sounds appear more distant. You are asking people to repeat themselves and turning up the volume on your TV because you just can’t hear as well. Could these be symptoms of hearing loss? Yes, absolutely! Should you be concerned? Yes, absolutely! Are these signs of permanent hearing loss? 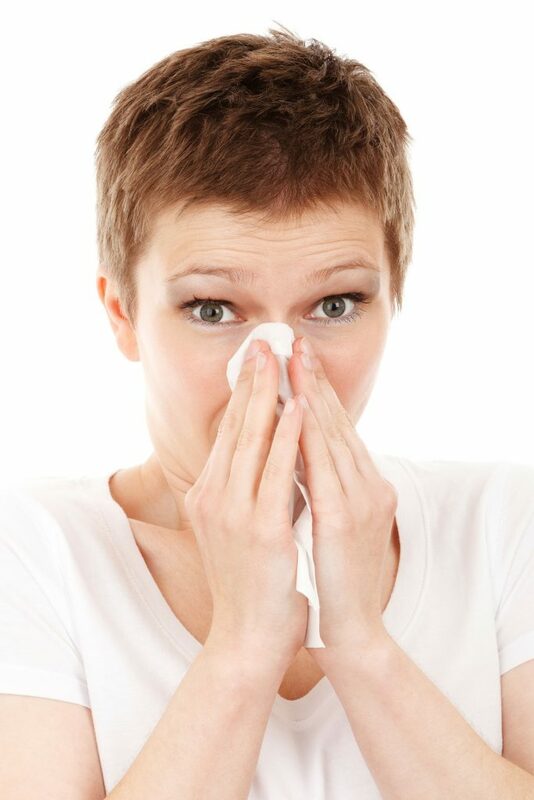 No – not necessarily – they could be signs of either seasonal or perennial allergies! You may have temporary hearing loss due to symptoms of allergies affecting your inner ear. In the U.S. it is estimated that one in five people either have allergy or asthma symptoms. The number of people with chronic allergy-like symptoms such as runny nose, congestion and cough but actually have non-allergic rhinitis instead is one out of three. Allergies rank 5th in leading chronic diseases in the U.S. Seasonal Allergies have their affect on people normally in spring, summer or early fall. Most often they are caused by sensitivity to pollens from either trees, grasses, weeds or airborne mold spores. 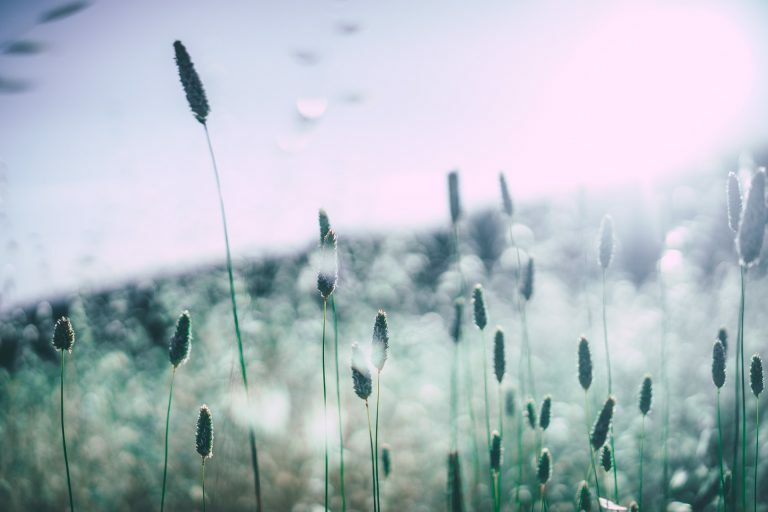 Perennial allergies affect people year round and usually are because of sensitivity to something a person is constantly being exposed to such as dust mites, mold spores or animal dander from cats, dogs or rodents. Another cause of allergies could be a reaction to certain substances or clothing. Some people using hearing aids or hearing protection devices can actually react to the material the device is made from. Other concerns from HPD’s could be improperly fitted or improperly vented devices causing a build up of pressure or moisture in the ear. 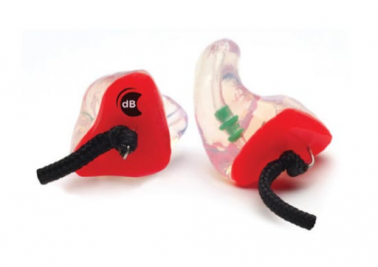 The dB Blockers™ HPD’s from CPE are fitted to each employee exactly – eliminating ear pressure. They are also composed of SkinSoft™ a hypoallergenic, non-flammable silicone blend of material. How do allergy symptoms affect hearing loss? When you are exposed to an allergen your bodies natural defence system kicks in. Your immune system responds to allergens by producing antibodies that release histamine as a way to fight off foreign invaders. The release of histamine produces several reactions. Inflammation – caused by the widening or swelling of the blood vessels to increase the blood flow to the area affected to speed up the healing process. This can cause nasal or ear canal congestion. Fluid escaping from capillaries into surrounding tissue which most often shows as a runny nose and watery eyes and possibly excess fluid in the inner ear. Mucous production to line and protect the area affected. Constriction of smooth muscle such as the smooth muscle around the bronchi of the lungs. – making it harder to breathe. Itch perception and skin rash – be cautious of using anything introduced into the ear such as cotton swabs. These reactions can all cause discomfort and possible hearing loss for the duration of the exposure to the allergen. How does the ear respond? The ear is divided into 3 distinct sections, inner, middle and outer. The allergy responses mostly affect the middle ear. The Eustachian tube which acts as a drainage tube and pressure release valve can become swollen. As well fluid or mucous can also build up, creating two concerns. One is a smaller drainage area and the second is the clogging of the drainage area. This can lead to increased pressure with resulting discomfort or pain and less ability for the inner ear to transfer the sound waves necessary for hearing. It also can cause dizziness or light headedness. The combination of swelling and increased fluid can also promote a good breading ground for infection to begin which could lead to permanent damage. What can you do to help prevent hearing loss? Even if hearing loss caused by allergies is temporary this can be devastating to a child learning to speak. They may miss out on critical learning periods. To an adult this can lead to work place concerns of missed work or inability to hear properly on the job which could result in safety concerns or inability to understand directives given. Having a full assessment by a qualified Audiologist is of high importance to access the extent of hearing loss and also rule out any other causes. Limiting exposure to known allergens or improving overall health to help the body handle exposures can all be positive steps to take. During acute allergic responses particularly if for longer durations of impaired hearing the hearing solution may be through the use of devices to aid in your hearing.